When a rodent scurries across your floor, determining whether it is a mouse or rat might not be your first concern. Getting rid of it is often the immediate priority. However, proper identification is important because it is a critical step in the pest control process. How do you tell the difference between a mouse and a rat? Although mice and rats appear similar at first, there are distinct differences. For starters, mice are smaller. They measure between 12 centimeters and 20 centimeters in length. White, gray or brown in color, they have large, floppy ears, triangular snouts, and tails that are long, thin and hairy. In contrast, rats can measure up to 40 centimeters in length. Their coats are white, gray, brown or black and greasy. Rats have a blunter snout than mice, and their long tails are scaly and hairless. Mice are excellent jumpers, swimmers, and climbers who can run along cables and wires and slip through holes as small as 0.25 inches in width. Like mice, rats swim and climb, but they also burrow. They can gain entry through gaps as small as 0.50 inches and will cheerfully use their sharp teeth to enlarge a hole that's not quite big enough. Mice prefer cereals and plants, but they will happily eat whatever is available, and they tend to build nests in hidden areas close to their food source. Curious creatures, they are often quick to investigate new features in their environment. Rats are more cautious. They generally stay within 300 feet of their burrow and avoid any new addition to their chosen area. Like mice, they'll eat anything, but they have their preferences. They generally favor fresh meats and grains. While a pest sighting is one obvious indication of a problem, there are other, more subtle warning signs of an infestation. If mice are the problem, you may notice chewed woodwork or nibbled food containers. Tracks from their travels and nests that are made from clumps of soft material in hidden spaces can also hint at a mouse issue. Dropping are another clue. When rats invade, you may notice evidence of their gnawing, spot greasy smears along your walls from their fur, come across tracks or burrows, and find droppings. Rat droppings are noticeably larger than mice droppings. Mice and rats are not good neighbors. With their destructive habits and tendency to carry disease, they are a threat to your health and safety. 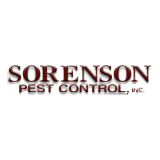 If you suspect that mice, rats or any other pests have invaded your home or business, contact the pest control experts at Sorenson Pest Control today. We'll respond quickly and provide a free estimate.